The United Methodist Church hosted both Newark Symphony Orchestra players and members of the University of Delaware Opera Theatre department for an evening of chamber music and song. It was a lively evening of music and an excellent opportunity to get to know the musicians of the NSO and their guest performers up close. The first piece was the very difficult Beethoven Trio in C Major, Opus 87 for two oboes and English horn. This work, as Maestro Tartaglione said in his introduction, is an early, classical work by Beethoven. The harmonies and style show a great deal of Mozartian influence, and the first oboe has the bulk of the unflinchingly tough technical demands which Elizabeth Stevens certainly met, even though she had to fight her reed a tad in the Adagio. Cathy MacIntyre’s English horn came through with great smoothness and jollity, which, together with the smooth oboe tones of Susan Ritter, made all four movements a pleasure to hear. The Woodwind Quintet in A-flat major, Opus 14, a piece by Gustav Holst which had been unearthed in 1978, was a fun, romantic romp which Michelle Webb (clarinet) obviously relished. Jennifer Hugh had a great night with the fairly demanding bassoon part as she led the Bel Canto quintet through the lush and romantic canon. It was a great opportunity to hear Bonnie McDonald’s horn playing and the silver sounds of Crystal Norman’s flute. The UD Opera Theatre performers had four short and breezy opera selections which flew by. All were conducted by Ian Christopher Passmore and accompanied by Paul Fleckenstein. Standouts were singers Kameron Ghanavati, tenor and Jessica Williams, soprano. You can hear more of their singing in the May performances of Puccini’s La Bohème. The concert was crowned by a wonderful performance of Roman Pawlowski’s arrangement of Victor Ewald’s brass quintet — a wildly difficult piece which Maestro Pawlowski arranged for fourteen brass players. Casey Hesse’s trumpet sounds were both subtle and virtuosic as she soloed in the lush Russian work for which the reverberant church was a great acoustic setting. 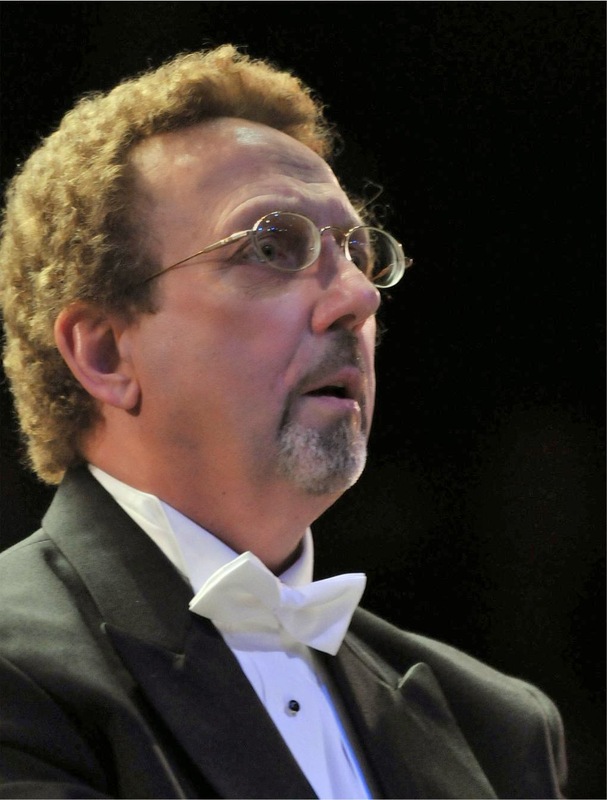 Current Maestro Tartaglione conducted and recognized former conductor Roman Pawlowski’s dedication to the Newark Symphony Orchestra. The theme of the concert, A Gift from Roman, was in evidence in his superbly crafted arrangement.